When I was cleaning on my vessel I found an old big light bulb. As I love the ships in bottles I thought it would be nice to put a little ship in there. 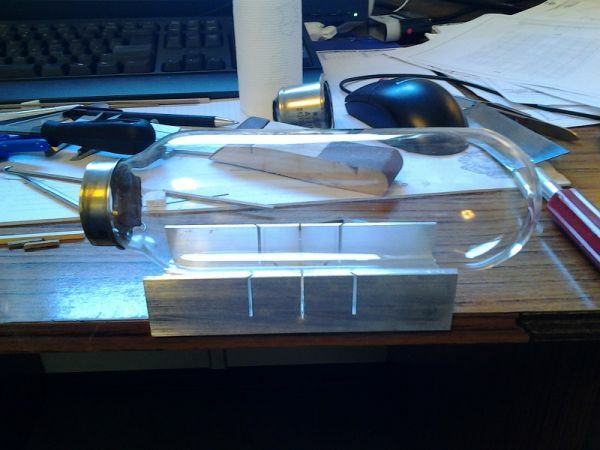 As the entrance is not that small as a bottle it is a nice exercise before I start with real bottle. 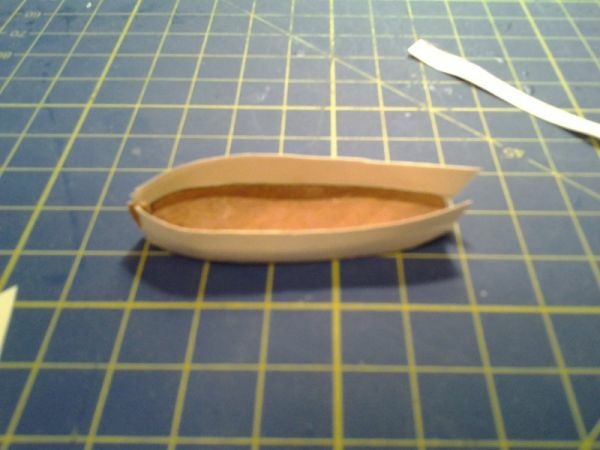 I made a little waterline hull from wood and made some bulwarks from a sea chart which is nice and strong paper. 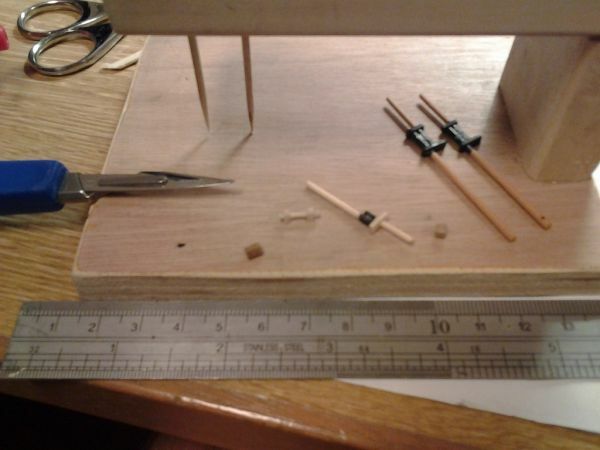 I made a stand to hold the model and drilled holes for the gun ports. These are squared with a little key file. 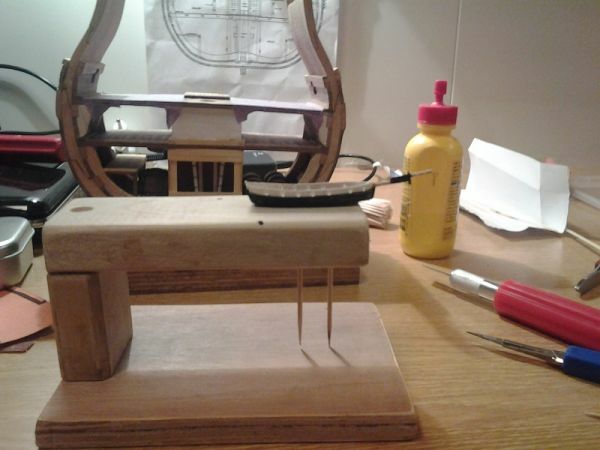 The bowsprit is made from sanded down tooth picks. 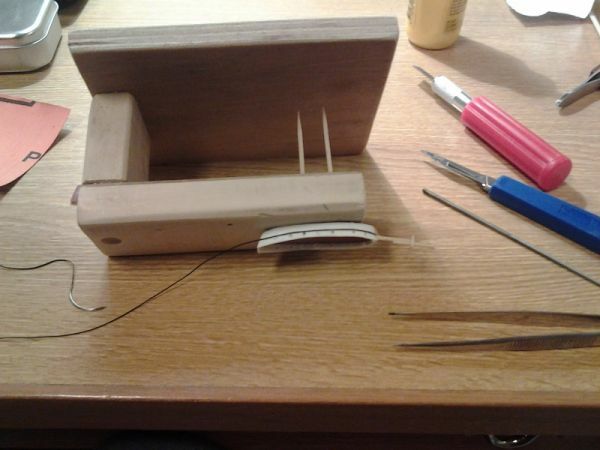 I made the gunwales of a suture kit which contains very fine silk thread (you can still see the needle on the end of the thread). And I painted the lower part off the hull. 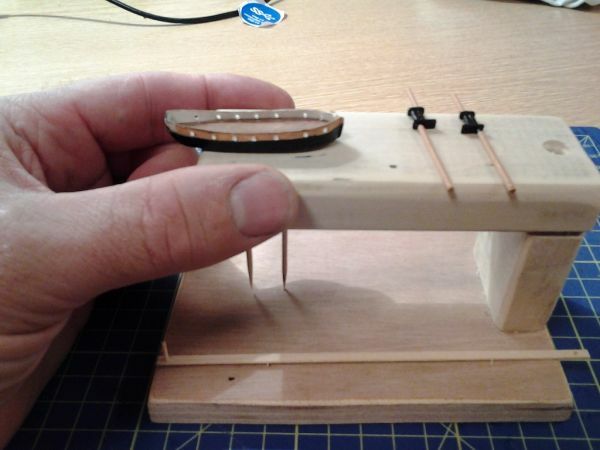 I know you said "I started another very small build of HMS Pickle." but I didn't think you meant quite that small! Looks like you're off to a very good start. I like this I'm going to keep an eye on this build. Not much work done as I have to work 12 hrs shifts. I managed to paint the hull and got some of the deck bits ready. Your hull is looking nice as are the masts for this build. Have you been able to make any progress on her lately?